I was hoping to get out and walk around the flea market this past weekend, but it rained just enough to convince me that vendors weren't going to be out there. So I ventured over to Walmart for the first time in 2017 and pick up some household items like garbage bags, Q-tips, and some snacks utilizing a pair of gift cards I received for Christmas from students. 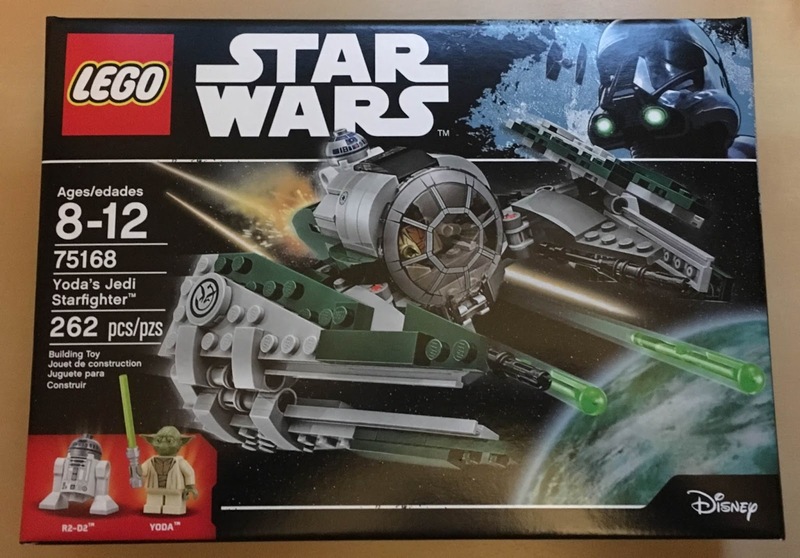 I went around the store a few times trying to get in as many steps as possible and on my final pass through the toy section I stopped by the Legos to see what Star Warssets they had. Like a lot of little kids, I grew up with my fair share of Legosets and over the past few years, I have purchased a handful of them in hopes of one day finding the time to build them. But like everything else, they were set aside and eventually tucked away. Well... Sundaynight I found time to scan and sort some cards, then file them away. Some of these cards had been sitting on my desk since January. Yesterday at work... 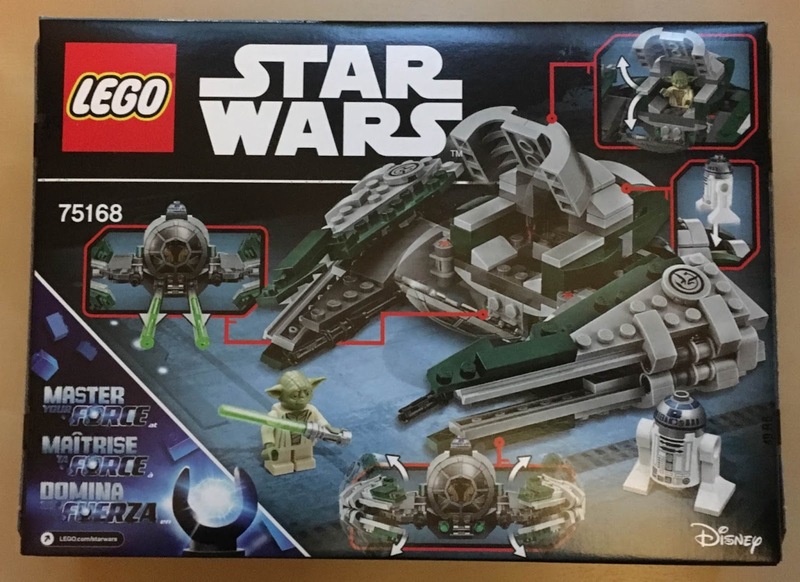 I couldn't stop thinking about going home and building my first Lego set in decades. When I finally settled down after dinner last night, I opened the box and pulled out the contents which were three bags of pieces and one instruction manual. As a kid, I didn't read instruction manuals. I just built. 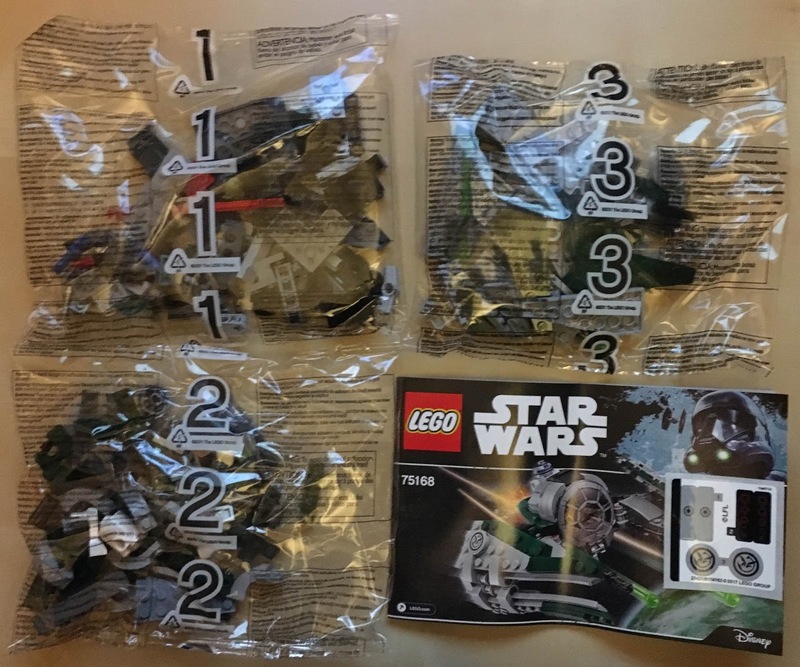 However after looking at one bag, I knew there was no way I'd be able to do this without step by step instructions... which is what Legoprovides in their fully illustrated manuals. There are only 262pieces, which doesn't sound like much... but believe it or not... this project took me a little over an hour to complete. I'm not sure what the average build time is... but I'm guessing it took me longer than most Legoenthusiasts. Although I was confused a few times... this little project was by no means stressful. In fact, I found it kind of relaxing. 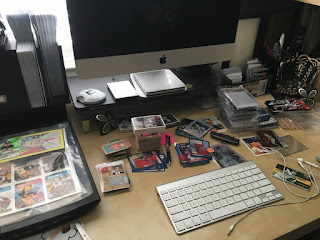 Like sorting baseball cards on the family room floor, it helped take my mind off of other things going on in life. The only major downside to this purchase is the price. 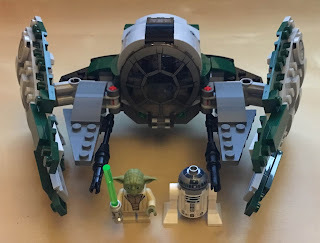 When completed... Yoda's Starfighter is barely larger than a Bic Maccarton. That seems kind of expensive, but I'm pretty sure this isn't news to anyone who has purchased them before. Outside of that, I was very happy with the overall design and especially with the two minifigures. Yoda has a cool rubber head, which is a lot more accurate than the one on my keychain. Now the only remaining issue is figuring out a place and a way to display it. 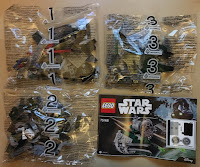 By the way, I also picked up Lego set #75173 Luke's Landspeeder, so the next time I'm feeling overwhelmed at work... I'll have something to look forward to working on when I get home. Well... that's it for today. I apologize if you were hoping to read a sports card post. Don't worry... I'll get back to those on Thursday.